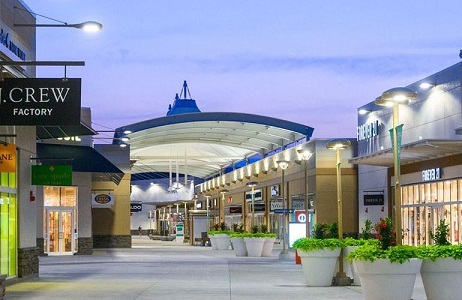 The Outlet Collection at Niagara is an exceptional shopping experience. Outlet Collection at Niagara features 100+ irresistible outlet brands including Kate Spade New York, Brooks Brothers Factory Store, Coach, J. Crew Factory, Michael Kors, Tommy Hilfiger and much more. The Outlet Collection at Niagara is located in the beautiful Niagara region, minutes from Niagara Falls. The Guest Services kiosk is located at the North end of the property (near Marshalls) in the Guest Services/Tim Hortons Building. Wheelchairs, walkers and strollers are available on a first-come, first-served basis. Lost & Found items are kept for a minimum period of 30 days. A first aid kit is available at the kiosk. Bank ATMs are located in the Guest Services Building and in the Eatery. Offers Gift-card that is valid for shopping at 21 Shopping centres nationwide. $10 Outlet Collection Gift Card for both the Group Leader and Bus Driver. (for bookings made 48 hours in advance). Apart from shopping, there are endless things to do while visiting the Niagara region. Get complete information about the attractions & Things to do in Niagara Region.